Baahubali 2 box-office collection Day 1: SS Rajamouli's film beats Sultan, Dangal. India's most awaited film Baahubali: The Conclusion is finally in theatres. The film has opened to rave reception from critics and audience alike. On its opening day, Baahubali 2 witnessed 95 per cent occupancy in theatres, which is huge as the film hit the screens on a working day. 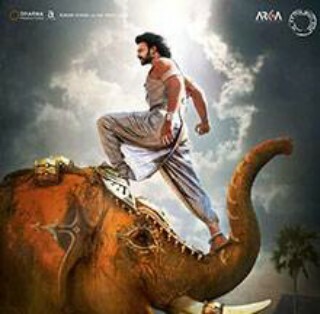 As per early trade estimates, filmmaker SS Rajamouli's Baahubali: The Conclusion has surpassed the opening day numbers of Bollywood biggies such as Salman Khan's Sultan and Aamir Khan's Dangal, which netted Rs 36.54 and Rs 29.78 crore respectively. Noted trade analyst Taran Adarsh took to Twitter to share the news. Interestingly, another trade analyst "Ramesh Bala predicts that Baahubali 2 would gross Rs 210 crore worldwide, while it would net Rs 145 cr in India." As per another trade report, Baahubali 2 grossed: Hindi- Rs 36.54 cr, Telugu- Rs 53 cr, Tamil Nadu- Rs 12 cr and Kerala- Rs 7 cr. The total collection of Baahubali 2 in India accounts to a whopping Rs 108.54 crore. Bollywood filmmaker Karan Johar took to twitter and said that the numbers are being tabulated and that it would be out soon. So far, none of the trade analysts, nor the filmmaker/producer have confirmed the figures. With an unprecedented craze over the film, Baahubali 2 is expected to be the first Indian film to earn Rs 1000 crore at the box office. Also Read: Akshay Kumar won the National Film Awards for Best Actor for Rustom. However, the official numbers will be out in the coming days. It must be noted that Baahubali: The Beginning shattered box-office collection when it released in 2015. The film reportedly earned Rs 650 crore worldwide. Made on a budget of Rs 250 crore, the film has already fetched enough moolah for the producers and reportedly raked in Rs 500 crore through its satellite and distribution rights. Baahubali 2 is released in Telugu, Tamil, Malayalam and Hindi. Prabhas, Rana Daggubati, Anushka Shetty, Tamannaah, Sathyaraj and Ramya Krishnan star in pivotal roles in this instalment of Baahubali too.